Galuchat is derived from wild animals in danger of extinction: rays and sharks. Rays and sharks are very much affected by overfishing. The watch and luxury industry contributes to their threatened status through the use of galuchat, the skin of rays and sharks. The oceans’ shark populations have already been diminished to 10 percent of their original size, and rays are disappearing silently! 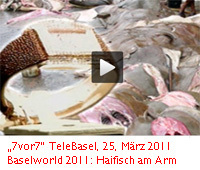 Rays and sharks cannot be bred for use in the leather industry. See the list of the watch brands that have said NO to galuchat!